All of our senior portrait experiences include a personal consultation, customized photo session, professional hair and makeup, and an in studio viewing and print ordering session. Sessions start at $249. Our signature wedding photography and cinematography includes 2 artists, digital delivery of content, and a custom engraved flash drive. Additional options include albums and prints. Packages begin at $3400. You've just had an exciting photoshoot, and you have a plethora of stunning images that have been painstakingly created for you. Now what? This is where the real fun begins! The complete experience you receive from Garon Photo & Cinema means you get access to our expertise in selecting the printed artwork that's perfect for you. 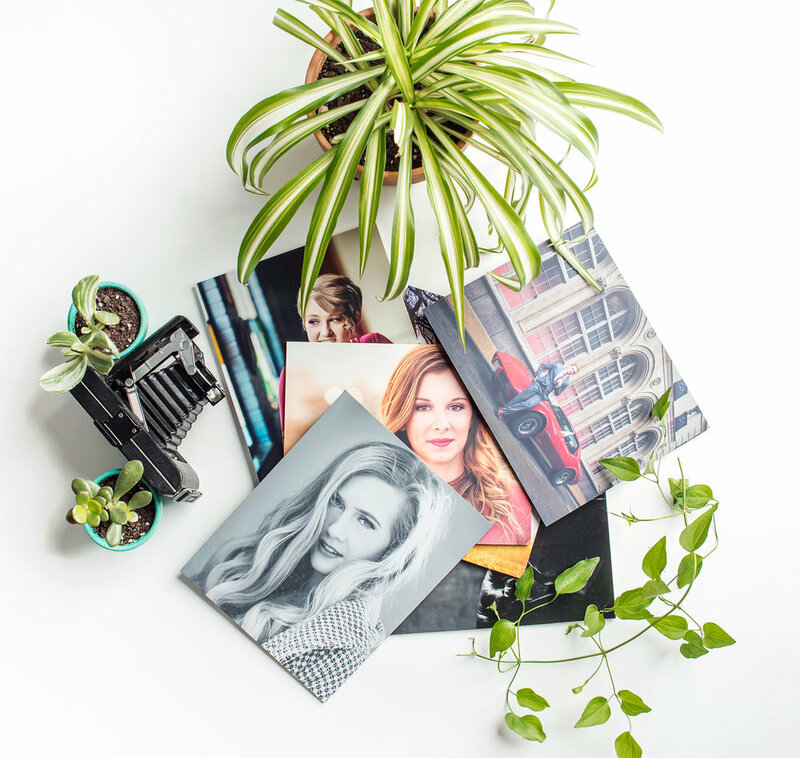 From wall art, to albums, to gift prints, our professionally printed options will take your new favorite images from "a nice social media post" to "OMG this print looks epic in my home!" When it comes to albums, this handcrafted book is the definition of perfection. No other albums come close to the level of craftsmanship, customization, and shear beauty available with this product. From the luxurious cover, to each turn of the page, you'll be treated to stunning artwork. Starting at $1600. We have a variety of stunning options for your walls. Everything from traditional canvas, to durable metal, to eye catching acrylic. We even have some specialty options like layered metals and metal murals that just have to be seen to believe! Starting at $600. There's no better way to store a collection of your favorite images than inside one of our professionally designed and printed albums. With a variety of cover options, beautiful matte pages, and a modern design layout, your family and friends will enjoy flipping through the extra thick, lay-flat pages for years to come. Starting at $900. Gift prints make the perfect keepsake for friends and family. Once you have your images beautifully preserved in wall art and an album, share some of your favorites by having them professionally printed in a number of great gift sizes and finishing options. Starting at $65. Schedule a meeting! We'll show you all of the different options, let you get your hands on them, and plan out the perfect photoshoot and print options for you! Click HERE to schedule.